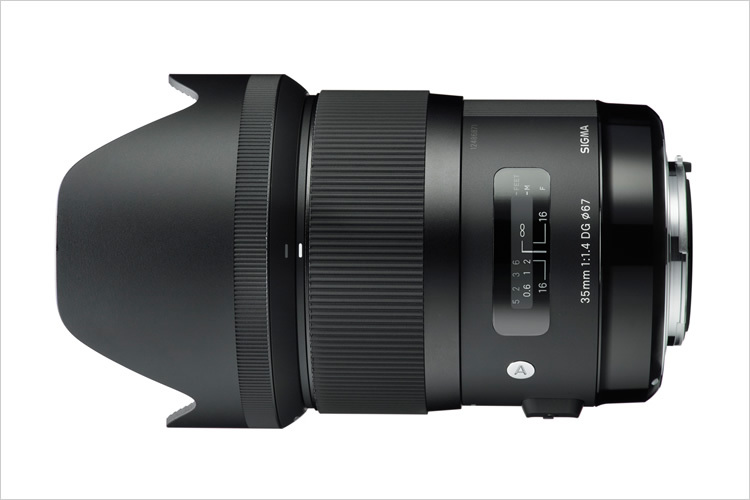 SIGMA 35mm F1.4 DG HSM receives TIPA 2013 BEST EXPERT DSLR LENS Award. The Sigma Corporation is pleased to announce that the SIGMA 35mm F1.4 DG HSM has won the “TIPA 2013 BEST EXPERT DSLR LENS” award. This wide angle lens with a large aperture F1.4 can achieve the highest level of brightness with an attractive blur for wide angle images. This lens was announced in November 2012. The large f/1.4 maximum aperture makes it ideal in low light and the lens is compatible with SIGMA USB DOCK and SIGMA Optimization Pro software to adjust and fine tune focusing parameters. Many avid photographers will definitely prefer this 35mm lens to the more conventional 50mm. Using a cutting-edge design and state-of-the-art production technology, we’ve honed its performance to the point where it can do full justice to the expressive power of the very latest digital cameras. This wide angle lens with a large aperture F1.4 can achieve the highest level of brightness with an attractive blur for wide angle images. The fast F1.4 aperture enables one to capture unique pictures in a variety of scenes, such as evening views and indoor handheld portraits. *Currently, 28 publication from Europe, South Africa, Canada and USA are members of the TIPA (Technical Image Press Association) organization and chief editors and technical editors of these publications constitute this organization. Since 1991, TIPA has presented many awards in several sectors, including imaging. This entry was posted in Brand: Sigma, Photography Articles & Videos, Uncategorized and tagged Lenses, Sigma, TIPA. Bookmark the permalink.